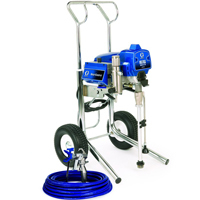 The Ultra Max II 495 features the leading technology and performance of Graco ’s larger Ultra Max II models. The Ultra Max II 495 is the sprayer of choice for professionals who need a higher output sprayer for daily use on residential jobs. 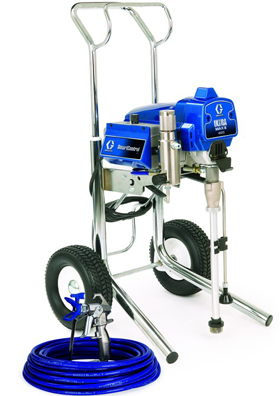 It is perfect for painting and texture contractors. Chrome Plated Welded Steel Hi-Boy Cart with TiltBack™ cart design – withstands rugged environments. Power Requirements: 495 1 Ø, 50/60 Hz 495 1 Ø, 50/60 Hz 110 – 120V, 15 A / 220 – 240V, 9 A.